Fire marshal rules accidental fire started in SUV parked next to home. 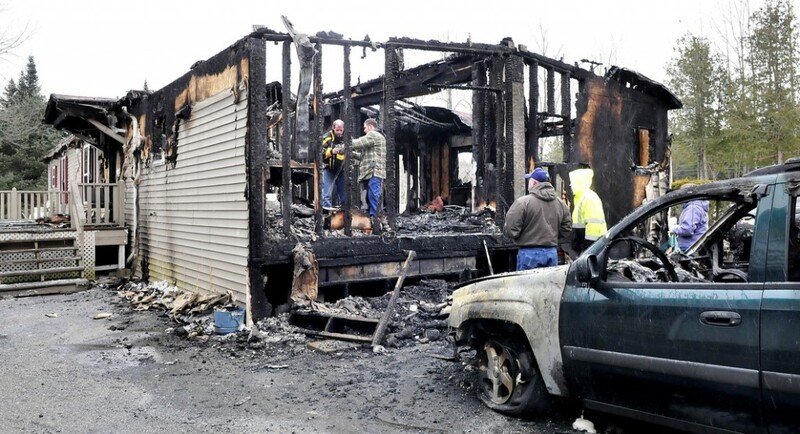 PALMYRA — Nine people escaped injury in a early morning modular home fire on U.S. Route 2 that started when a nearby vehicle caught fire. The home was destroyed after a 2005 Chevy Trailblazer that was parked about two feet from the building caught fire about 1:30 a.m., according to homeowner Ben Martin. Martin lived at the home with his wife and their two children. Another family who was staying at the home temporarily and sleeping in the living room were awoken by the fire in the kitchen, Martin said. The light and sound of the flames in the kitchen woke Andy Pomeroy and his family, and they alerted the rest of the household, Martin said. Four adults and five children made it out of the house, but the Pomeroy’s pregnant golden retriever, Carly, died in the fire. After getting out of the house, Martin realized flames were coming from the Trailblazer, which was parked about two feet from the home. The fire was started in the wiring harness of the engine compartment, according to Sgt. Ken Grimes of the fire marshal’s office. The fire was ruled an accident, Grimes said. 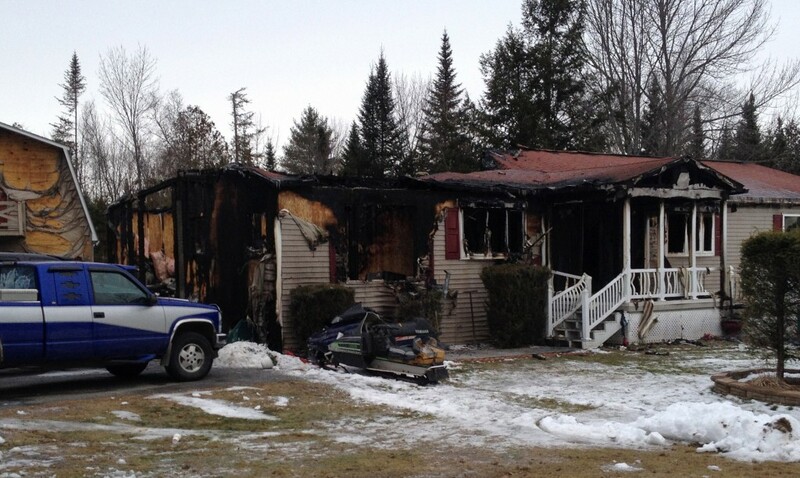 Both families are staying at Martin’s cousin’s house in Hartland. The Pomeroys were staying at the Martin’s home while in the process of moving to Augusta, Martin said.